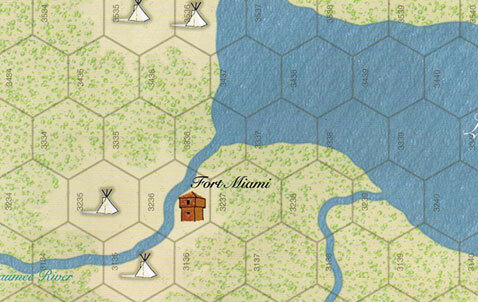 Original game components such as a map, units, rules of the game and charts are necessary to play this game. Question: The GHQ units in 'Pershing' have the word 'Start' on the back. But there are no directions in the rules (at least that I have found...) that say where they go. They may be deployed with any of the other starting US groups. Question: The counter sheet is split in half; counters to the left belonging to Mad Anthony and counters to the right belonging to Pershing. But there are Heroism markers on both sides of the counter sheets. When you put the Heroism markers in the cup (before the start of the game), do you use the markers from both sides or just from the side of the ciounter sheet for the appropriate game? Looking at the finished countersheet, I now see that we finally decided to go with the one-big-combined-chit-set approach. Question: By the way, what do Joe and you, Ty, think of using these boots 2 chits plus the one extra one for 1775 from boots 1, IN BOOTS 1, or would that skew the % of drawing certain chits and such off? It might skew hings a bit, but given the nature of the game system, that would be a good thing. The more chaos, the better. Question: I assume the numbers on the MA turn track separated by a slash are the number of hero counters to be picked by each side per turn, but I didn't understand which number went with which side from my reading. Maybe I just missed it. Mad Anthony: Left of slash = USA; right of slash = Indians. This is in rule [21.14]. Pershing: each player picks one marker per turn. Rule [22.17]. Question: Does the added wording to the e-rules that the GHQ sub command in the Pershing game starts stacked with any other US units imply that particular sub command is allowed to stack with other sub commmands throughout the game? Question, Pershing: I cannot find set-up instructions for the US GHQ units, although the reverse side of three of their units are marked "start". I just placed them adjacent to the WC force. Can place them anywhere on the US side. Question, Pershing: There's no explanation of the "Native Allies" heroism marker in the Pershing scenario rules. Should that marker be removed from the cup. 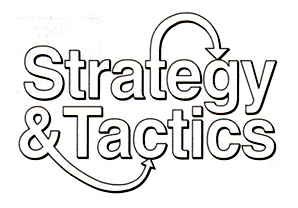 Question, Pershing: Who is the First Player for this scenario? Question: can't tell who is the "first player" in either scenario. I assume in both cases it is the US. Question, Pershing: Is the Native Allies heroism chit used in Pershing? If so, how? In Pershing, treat the Native Allies marker as no effect. Question, Pershing: Natural Catastrophe heroism chit result "Storm" -- does this mean the current Operations Phase (i.e. the last chit pulled) immediately ends, or all operations phases for the rest of the turn are lost? Question, Pershing: If USA units move adjacent to Mexican Army units MUST they attack them? The ZOC rules would suggest "yes", but the state of non-belligerency would suggest "no" unless the US player chose to start hostilities..
Only if currently belligerents. The must attack if enemy ZOC provision applies only to enemy units. Question, Pershing , Raiding: do the raiding units have to STOP movement in the raided town, or can they zip through and just drop off a RAID marker? Raids are placed at the end of the operations phase. 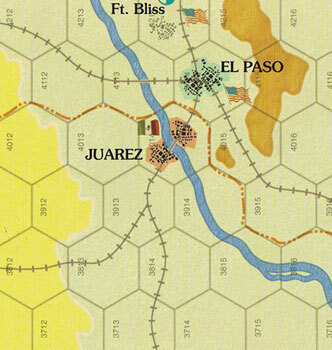 Question, Pershing: If Mexican government forces eliminate a Dorados unit, does the US player get the VPs? Question, Pershing: GHQ units can stack w/units from other US commands, correct? Question, Pershing: Open Hostilities: if the US player attacks the mexican Government forces, the 2d6 worth of VPS goes to the Villa player? No. The US GHQ marker can activate only US units. Suppose that in the current game turn, 1. the US player picked Chihuahua Militia (CM). He moved the CM units. 2. the Villa player picked Trevino (T). He moved the T units. 3. Then, the US player picked East Column (EC). No, they can not move through each other. Are “cavalry”, “supply wagon”,"supply trucks" all mobile units? If units from outside retreat into a stockade hex, can they cease their retreat? Rule [11.3] states only about Fort Garrison hexes. [21.20] Can British units burn US towns and stockades?